Working in concert with the best in the Washington-Baltimore real estate and construction industry, SDC Properties has stayed true to its core business of land development, solidifying important partnerships, affiliations and winning several awards along the way. Consistency is a key element to our successful ability to serve clients and tenants. To date, retirement has been the main impetus for turnover of key personnel, giving SDC Properties a wealth of industry knowledge and significant bench strength. The complimentary skills of SDC Properties’ principals and their strong lines of communication and ties to the local community place SDC in a uniquely competitive position to successfully develop real estate. The company’s principals bring strong and precise skills in sales, marketing, project planning, design, finance, law and construction. Steve holds a master’s degree in finance and has over 35 years of experience in financial analyses of projects, economic modeling and daily project monitoring. Steve manages the company’s banking relationships and is a board member of Carrolltown Bank, Bay Bank and the McDonogh School. Steve also is a director and 1st Vice President for the Maryland Building Industry Association. Rob has over thirty years of experience with the acquisition, financing, leasing, and management of real estate projects. Formerly an attorney at one of Baltimore’s leading law firms, Venable, Baetjer and Howard (now Venable LLP), he has extensive legal and tax expertise with structuring complex real estate transactions. Rob serves as a member of the Board of Directors of both Fulton Financial Corporation based in Lancaster, PA, and The Columbia Bank in Maryland. He has been engaged in a lifetime of civic involvement, serving with numerous organizations focused on agriculture, land use, and education. Rob currently serves as a Trustee of Glenelg Country School, having chaired the Board for eight years, as a Trustee of the Howard Hospital Foundation, as a Founding Director of the Real Estate Charitable Foundation of Maryland, and as a gubernatorial appointee to the Maryland Agricultural Fair Board. Mark Moxley received his B.A. from Washington College and completed his post grad at Oxford University. Joining the company in 1994, Mark oversees the many construction, development and acquisition activities for the company, and oversight for the various commercial and multi-family properties. Mark is currently active with the Boys Latin School of Baltimore capital development Board, The Board of the Jemicy School Baltimore, Maryland. Chip Plitt has been a Howard County resident since 1972. He received his Bachelors form Rutgers College in 1983 and went on to earn his Certified Public Accountant’s license. He later received his Masters in Business Administration from Loyola College. He has worked for Security Development Corporation or its related entities since 1985. He became controller in 1991 and is responsible for administrative functions, tax compliance, insurance and financial statement preparation. Since 1983, Clark has helped to spearhead SDC’s construction and core development activities. The rapid development of Howard County in the 1960’s allowed Stewart to become a leading figure in land acquisition. The growth of Columbia and surrounding areas aided Stewart in assembling over fourteen-thousand acres for development. Kevin received his undergraduate degree from Emory University, his law degree from the University of Maryland School of Law and a Master of Laws in Taxation degree from Georgetown University Law Center. He is a member of both the Maryland and Virginia Bars. He practiced real estate and business law in Baltimore and DC area law firms and served as in-house attorney for an Anne Arundel County residential and commercial building and development company prior to joining Security Development. He assists Rob with real estate transactions and tax issues and is responsible for locating and overseeing commercial and residential real estate opportunities in Virginia. Will has been with the company since his graduation from Towson University in 2008 where he received a degree in Finance. His work includes project management on development projects from start to finish and close work with key county agencies such as Real Estate Services, Planning and Zoning, Departments of License, Inspection and Permits and Public Works. Will also is charged with investigating new development projects for the company. Security Development Corporation (SDC) was formed in 1977 for the purpose of developing “finished” building lots for sale to large homebuilders. This is a niche market in the mid-Atlantic region resulting from the preference of many builders to purchase lots which are ready to use rather than to develop an inventory of their own lots. Since the company was started it has sold and developed over four thousand lots and currently has several projects in various stages of development. SDC’s success can be attributed to a number of factors including the long term perspective of the organization and the complementary skills of the principals. Land development is inherently a time consuming activity in which even small projects can take three to five years to complete. In addition, land development, perhaps more than any other type of real estate activity requires a thorough understanding and familiarity with local regulatory agencies, market conditions, and potential site-related construction complications. For these reasons, SDC was founded with the idea of building a real estate organization as an enduring business entity (rather than the usual loose assemblage of partnerships) that would have the continuity necessary to complete long-range projects, invest the time to establish deep roots in the community, and over time build enough value in the company that it could be involved in more diverse and extensive projects. From the beginning, there has been a remarkable consistency in the organization. The original operation of developing finished lots has continued. However, over the years the company has branched out into residential rental housing, as well as commercial retail, flex, and office, which is typically held for investment. Although the company has grown steadily, there has been little turnover in key personnel. Some of the founders are still active in the company. Over time, new principals, all very familiar with the company, have been added. The principals of SDC and their related entities include James R. Moxley, Jr. (now retired), James R. Schulte, Stewart D. Young, Steven K. Breeden, James R. (Rob) Moxley, III, Mark G. Moxley, Edward T. Plitt, and Clark S. Sperry Jr. Each brings particular skills in project planning and design, sales and marketing, finance, legal, construction, and accounting. 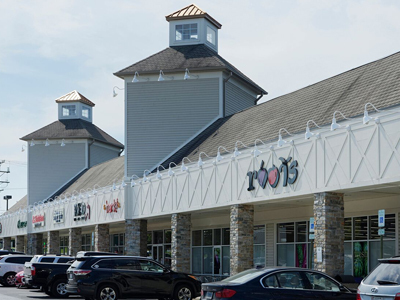 The Moxley family has had an active record of community and real estate involvement in Maryland for several generations. James Moxley’s uncle, Norman E. Moxley, served as one of the three Howard County Commissioners from 1950-1962. 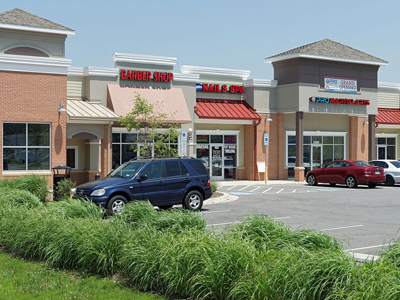 James Moxley, Sr. and Norman Moxley, together with their two sons, Jim Moxley and Robert R. Moxley, respectively, developed the Normandy Heights residential subdivision and Normandy Shopping Center in Ellicott City (the first shopping center in the county). Through Security Enterprises, Inc., a real estate brokerage firm, Robert Moxley, Jim Moxley, and Stewart Young were instrumental in the assemblage of land for the new town of Columbia for a subsidiary of the Rouse Company, during which they negotiated the acquisition of approximately 200 parcels totaling 14,500 acres. They also assembled over 1,100 acres for the General Electric Appliance Park East adjacent to Columbia. James Schulte, formerly an Associate Principal with RTKL Associates in Baltimore, a national architectural firm, is a registered architect with a lifetime of experience working with developers on governmental approvals, project design, and environmental analysis and is skilled in the processing of plans through the governmental approval process. Steven Breeden, who holds a master’s degree in finance, has years of experience in financial analyses of projects, economic modeling, and daily project monitoring. He received the 2001 Developer of the Year Award by the Home Builder’s Association of Maryland. He and Rob Moxley are board members of financial institutions and maintain SDC’s banking relationships. Rob Moxley, formerly a real estate attorney at one of Baltimore’s leading law firms, Venable, Baetjer and Howard, has extensive experience with complex real estate projects, tax, and other related issues. He oversees transactional and legal matters for SDC and their related entities and carries on the Moxley family tradition of community involvement by serving on numerous governmental and community boards and committees. Rob’s brother, Mark Moxley, and Clark Sperry have a combined construction expertise, while Edward (Chip) Plitt has handled the accounting needs of the company since 1985. SDC concentrates geographically in the Baltimore-Washington area due to its preference to work in a familiar political and market environment. The complementary skills of the principals, the strong lines of internal communication, and the extent of its community ties place SDC in a uniquely competitive position to successfully develop real estate. SDC is proud to have been named “Business Of The Year” in 1995 by the Howard County Chamber of Commerce.